The United States of America is a big country, and Texas amplifies the American ethos “bigger is better”. Dallas, Texas is famous for one of the most salient events in American history, namely the assassination of President John F Kennedy. While the JFK Museum is the most visited attraction in Dallas, there are many reasons to visit the birthplace of laser tag, 7-Eleven, and German chocolate cake (named after Sam German - i.e. it’s not from Germany). 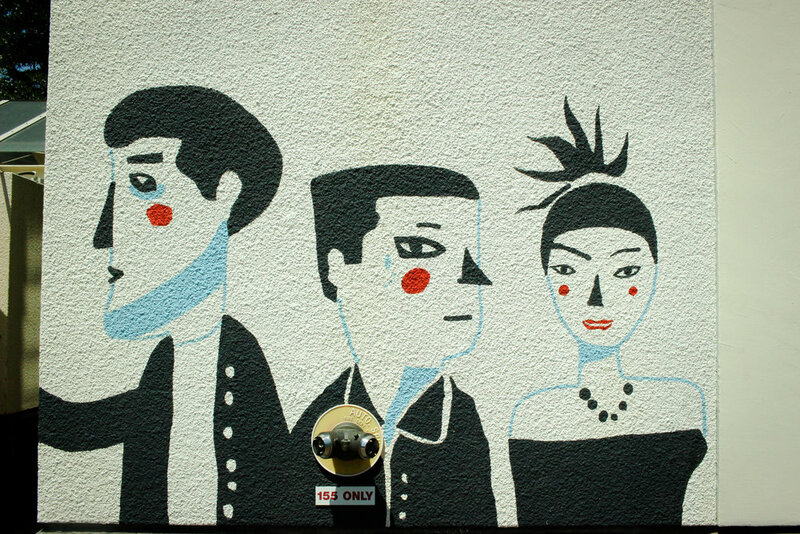 Venturing to Dallas for the first time, I felt excited and overwhelmed. I didn’t know where to begin my journey in this sprawling city zipped together with a labyrinth of freeway interchanges. I had my priorities straight though: I wanted to eat, and I wanted to eat well. 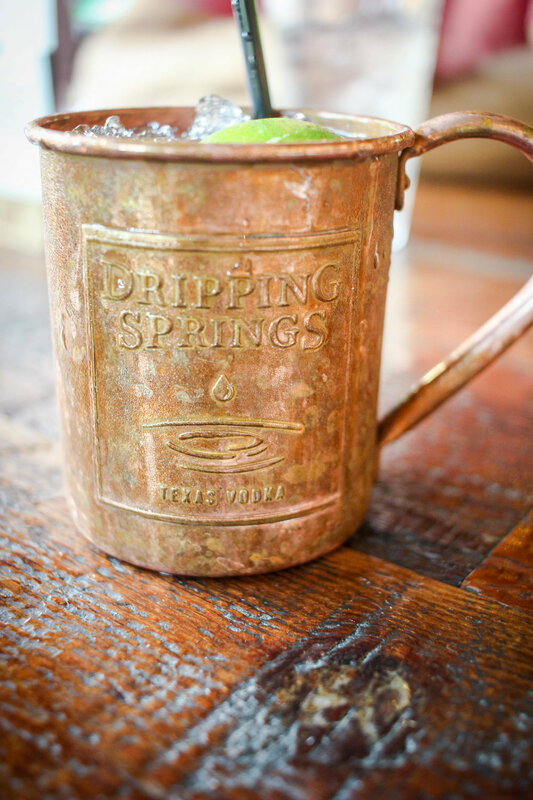 I turned to Food Tours of America to show me the best of Dallas’s Uptown Neighborhood. This tour begins in the West Village, which is Dallas’s most pedestrian friendly neighborhood - perfect for a walking tour! 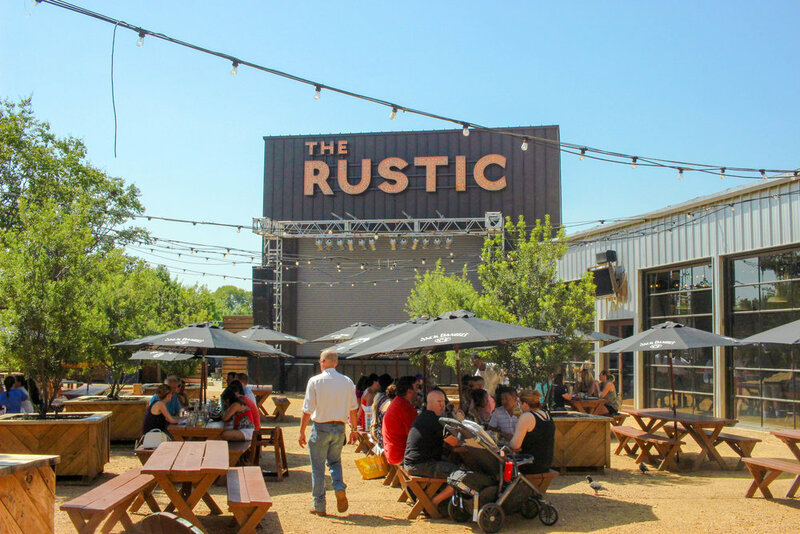 This affluent neighborhood has some of the trendiest restaurants and shops in Dallas, leaving no shortage of places to eat. Texans have a lot of pride for their state, and our first stop on the tour shouted all things Texas. 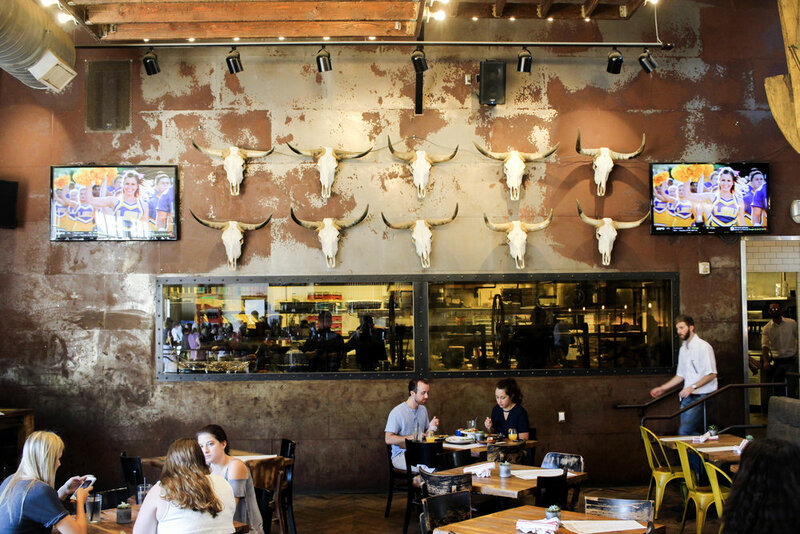 Waiters hurriedly walked by the wood-paneled walls lined with longhorns skulls and the American flag backdrop meticulously put together with hundreds of red, white, and blue Budweiser cans. The mood here is festive, and people of all ages come together here to eat farm fresh foods and celebrate their Texas pride. 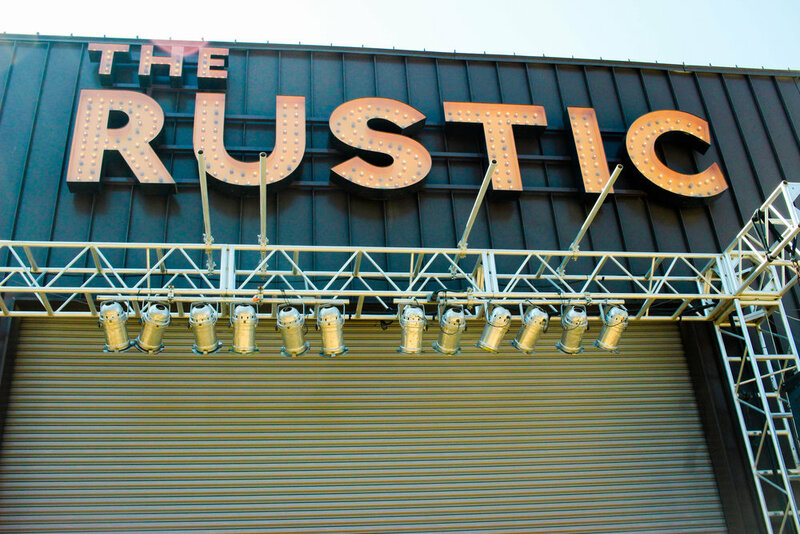 The Rustic is perhaps most well known for its large outdoor stage that features live music nearly every night - only with bands from Texas. After gawking at the back patio, I headed back inside to peek at the drink menu, where the list of import drafts caught my eye: Coors Light (Colorado), Bud Light (Missouri), Boulevard Unfiltered wheat (Missouri), etc. It dawned on me that these beers got labeled as “foreign beers” label simply because they are not made in Texas. How about that for some local pride? One thing that Foods of America makes certain, is that nobody will leave the tour hungry - surprisingly, that is not always the case on food tours! Good thing too because I came prepared with an empty stomach. Our group sat together at an elongated table with high-top chairs. 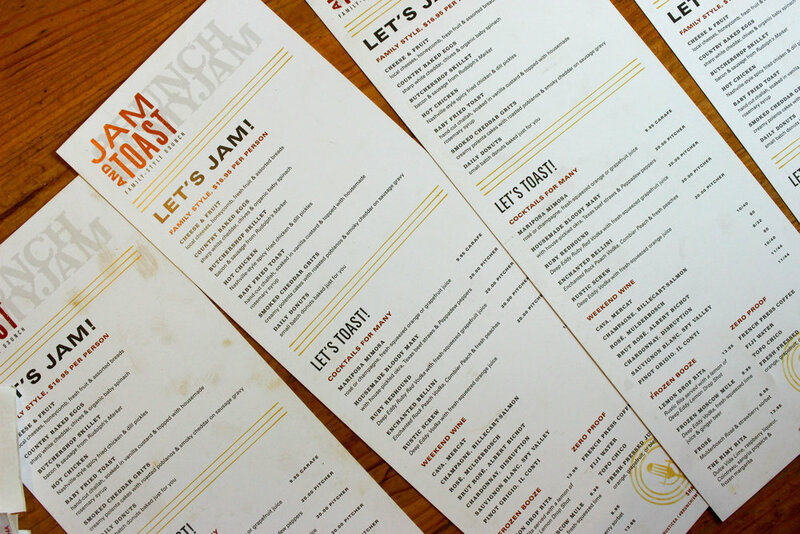 We shared a number of starters during the Saturday brunch hour, such as the smoked cheddar grits. Grits, also known as polenta, is made from coarsely ground corn. The coarse texture here was softened and balanced with creamy sausage gravy, smokey cheddar, and roasted poblanos. Grits are a staple in the south, and a trip to Dallas would be incomplete without trying a local interpretation of it. 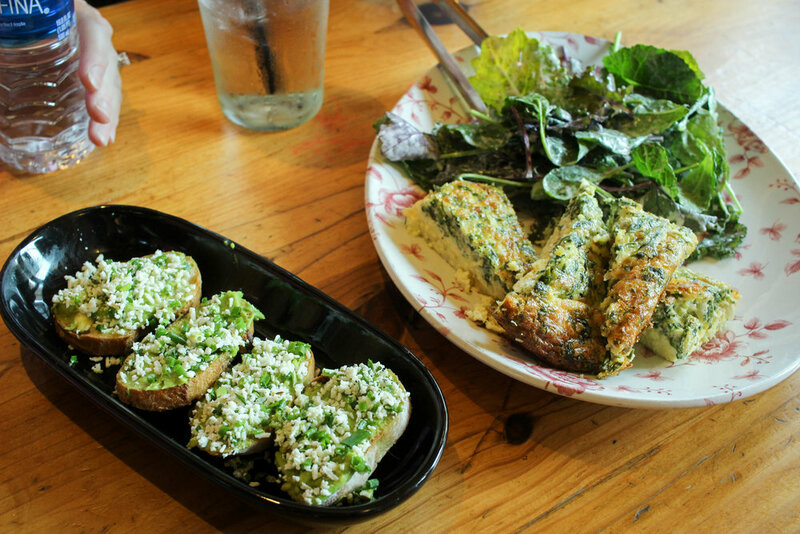 We also shared a frittata with a kale salad, and avocado toast topped with Oaxacan cheese. The showstopper of the meal, however, was the peanut butter pie. When the waiter brought out the pie, I literally couldn’t believe my eyes. 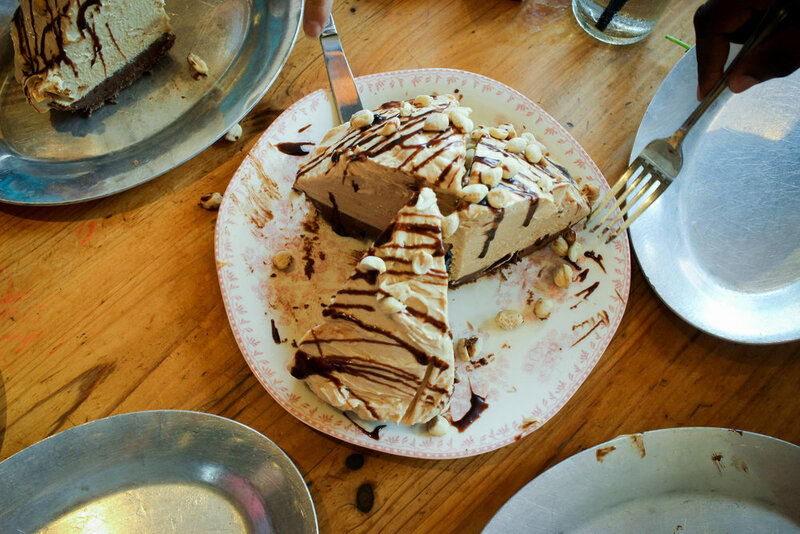 Approximately 10 pounds in weight and the size of 2 human heads, this pie with peanut butter cream, fudgey chocolate layers, peanuts, and warm bittersweet chocolate sauce capped off our meal with a ultra sweet and sensational Dallas finish. Remember, “everything is bigger in Texas”. A trip to Dallas would be incomplete without paying tribute to the local cowboy culture. 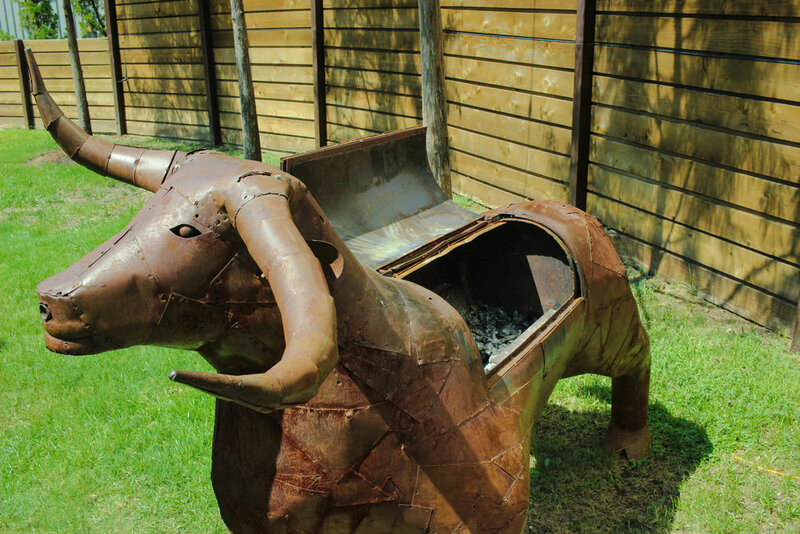 And I’m not referring to the NFL’s Dallas Cowboys - I’m talking about beef. At our second stop we tried a burger using local beef. 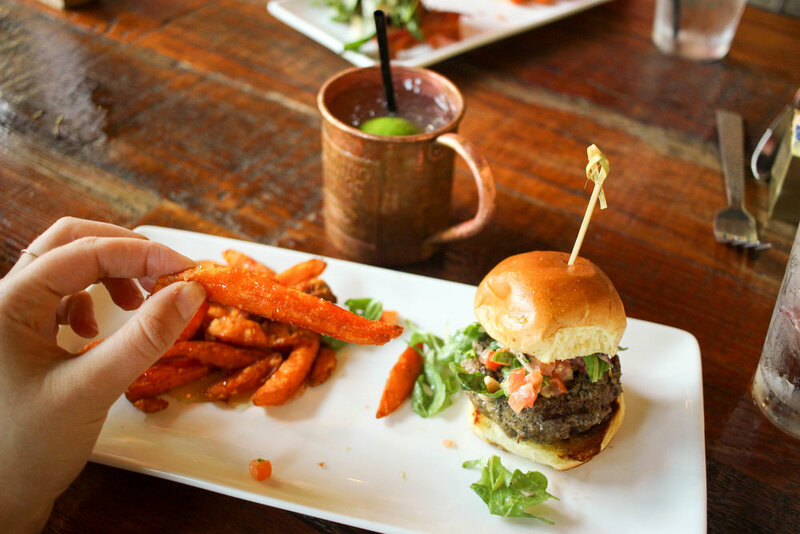 We each had our own baby burger using 100% local beef and topped with fig marmalade, melted goat cheese, bacon, tomato, red onion, arugula, and spicy porter mustard. Even the faint of heart who steer away from goat cheese loved this California-inspired combo. I particularly liked the honey cinnamon sweet potato fries that came paired alongside the burger. This food tour comes with an optional drink pairing, but for the full experience I recommend going all out! 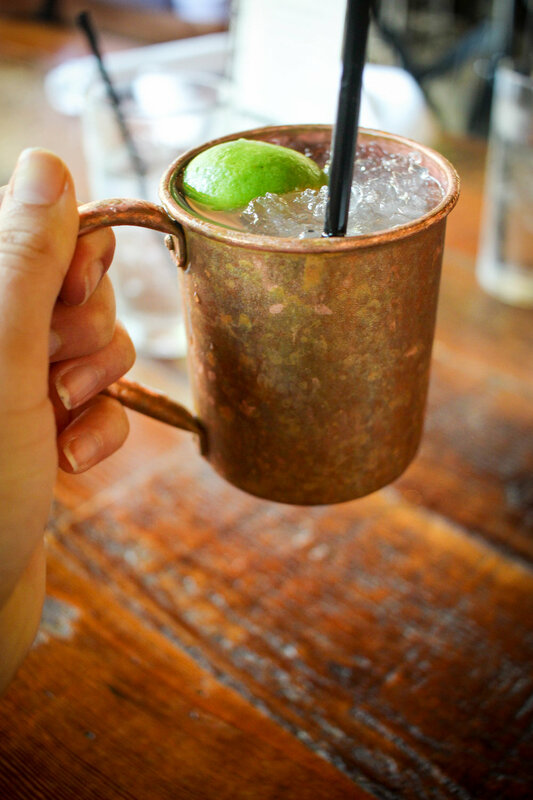 For the first of three boozy drinks on the tour, we had a Moscow mule made of vodka, spicy ginger beer, and lime juice served in the classic copper mug. The West Village tour is a walking tour with one notable exception: we also got to ride on the McKinney Avenue Trolley. In operation since 1989, this trolley service is a part of a not-for-profit and one of the most entertaining ways to traverse the city. We hopped all aboard to head to our next destination. 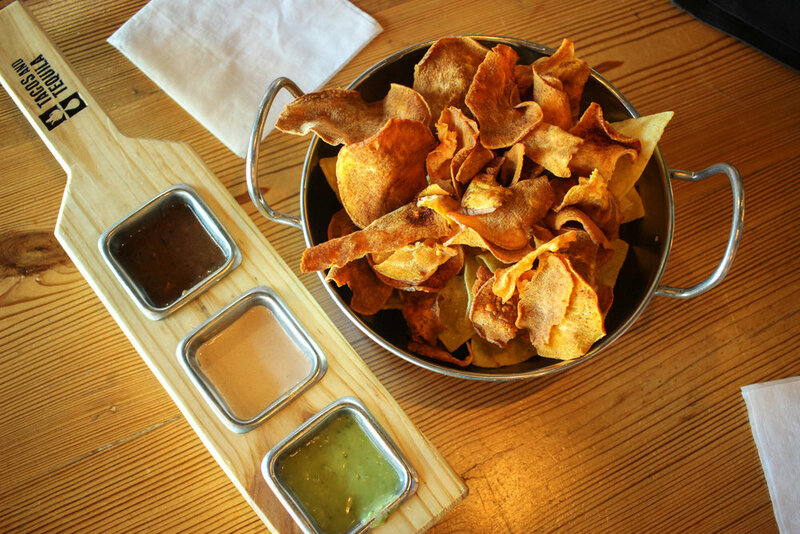 One of the most famed food cultures to spring out of Texas is the celebrated Tex-Mex. This fusion of Mexican and American cuisines can be found all over the US, but its unparalleled to that found in its birthplace. Greeted at our third stop with margaritas and homemade sweet potato chips and salsa, I was excited to pair our sweet and spicy starters with some homemade tacos. We each got a beef tenderloin taco, where the beef is cooked and cut to order. This ensures optimal freshness and tastiness. The star of the tour in my eyes was our fourth stop on the tour. The vibrant flavors of the foods served here matched the vivacious interior. 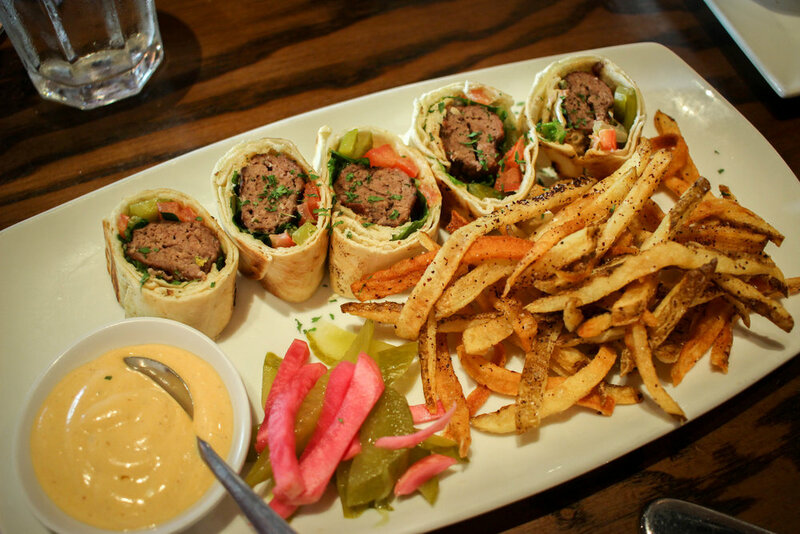 Dishing up Lebanese dishes with a touch of Moroccan spices, this establishment showed me that there is much more to be had in Dallas than classic “Texan” foods. 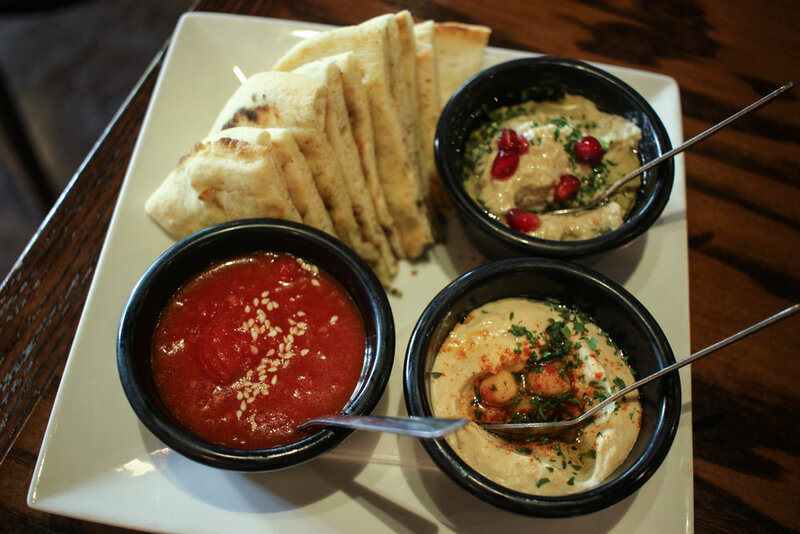 We started with a spread of three housemade dips and pita bread. First the Moroccan sweet tomato with cinnamon, garlic, orange blossom water, sesame seeds, and almonds. Second the silky hummus with a generous amount of tahini, garlic, and fresh lemon juice. Lastly the babaganoush with grilled eggplant, basil, jalapenos, lemon juice, garlic, and pomegranate seeds. Can I eat this every day, please? We also tried the Kibbeh, another classic Eastern Mediterranean dish with ground beef and spices stuffed into a bulgar wheat crust. My favorite cocktail on this tour also came from here, as it twirled flavors of cardamom and roasted pineapple. No food tour would be complete without a sweet ending. 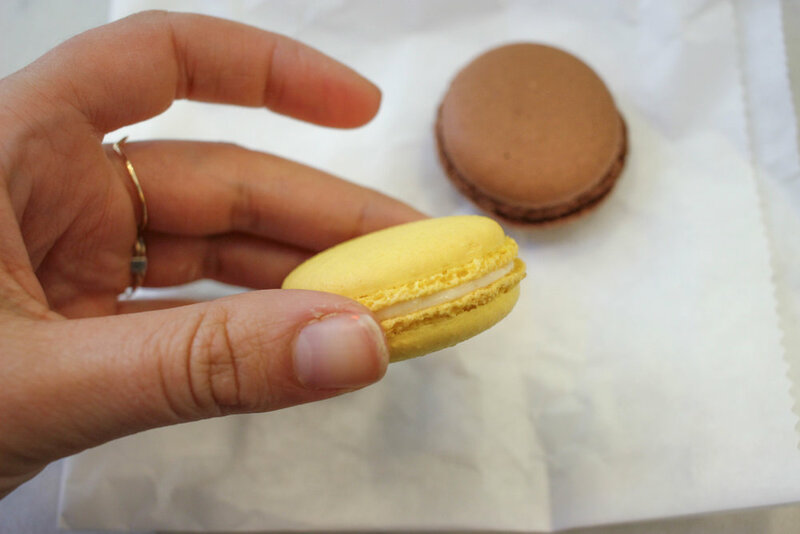 We capped off our tour at our fifth and final stop with some Parisian macarons. Perfecting her pastry techniques from Thomas Keller’s famous Bouchon bakery in Yountville, California, pastry chef-owner Andrea Meyer pipes up perfect macarons using the finest almond flour. I left this tour with a better understanding of local pride, local cuisine, and specifically, the Uptown neighborhood.